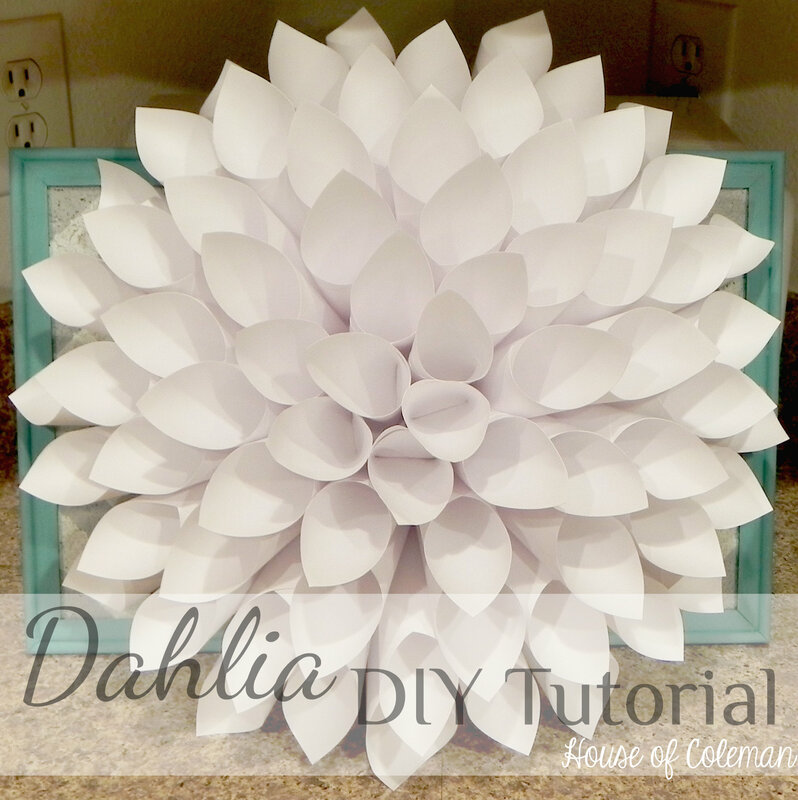 Welcoming Spring With A Dahlia Tutorial!! 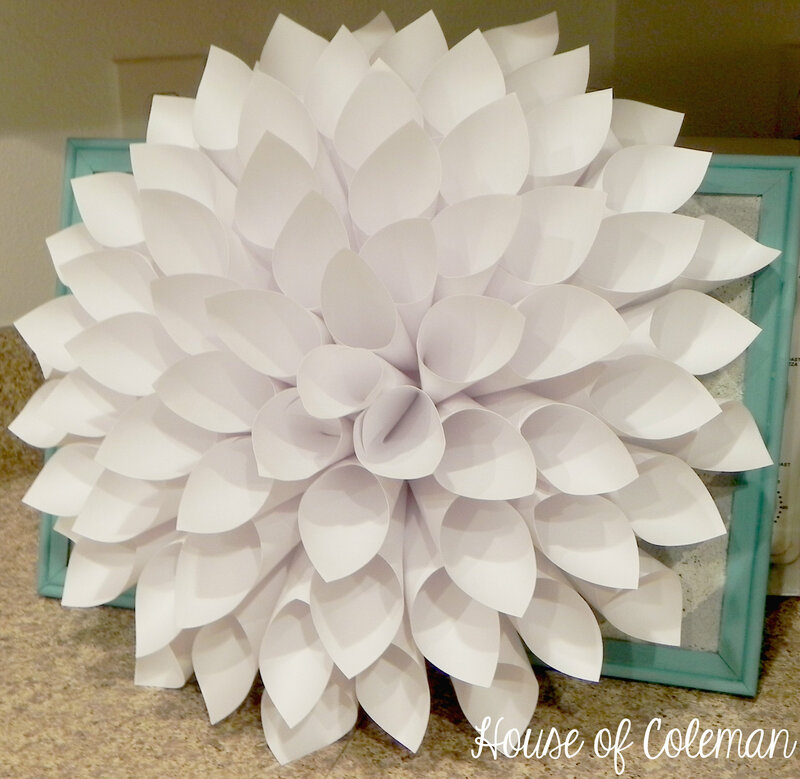 It’s finally Spring…Yay…and I’ve been itching to get back in the blog world and get to making some of the projects on my ever-growing Pinterest Board so I thought I would start off with making a Dahlia out of cardstock to hang on the wall in my newly painted kitchen!! 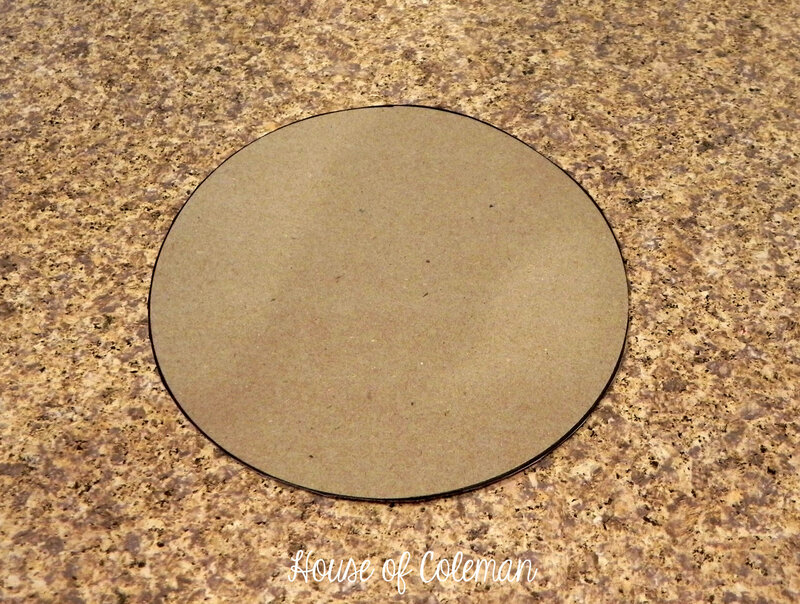 First I opened up the Cereal Box and traced the plate I had (it was about 7 1/4 in diameter). Cut it out and there I had my base! 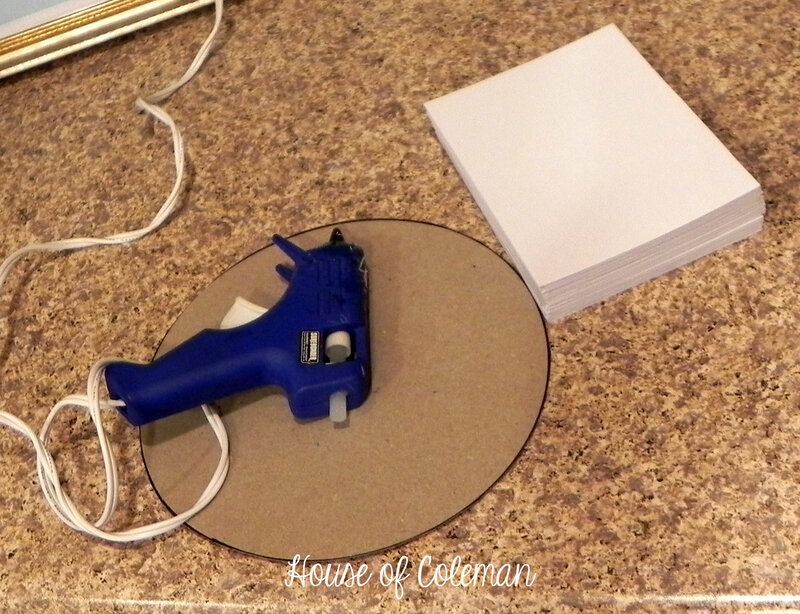 I set that aside for a minute to focus on cutting my cardstock. 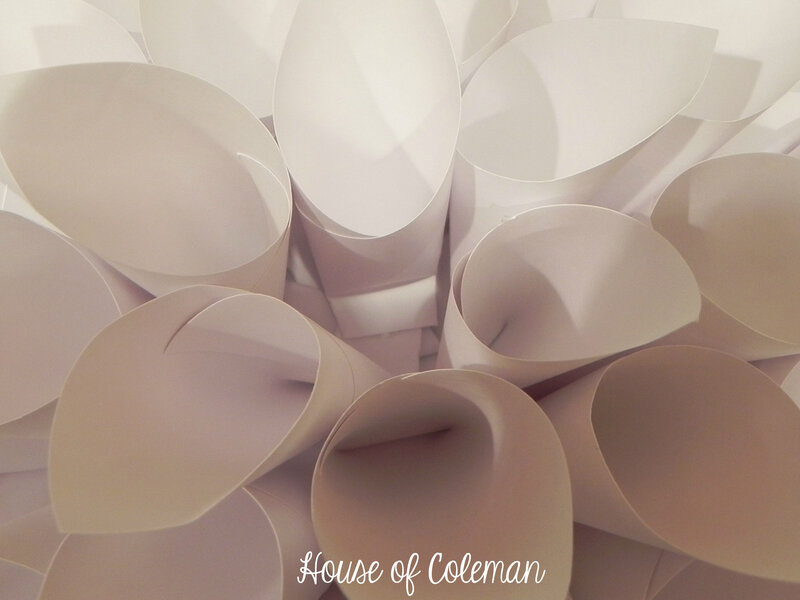 I took my 18 pieces of Cardstock Paper (8.5 x 11) and cut them into 4ths. 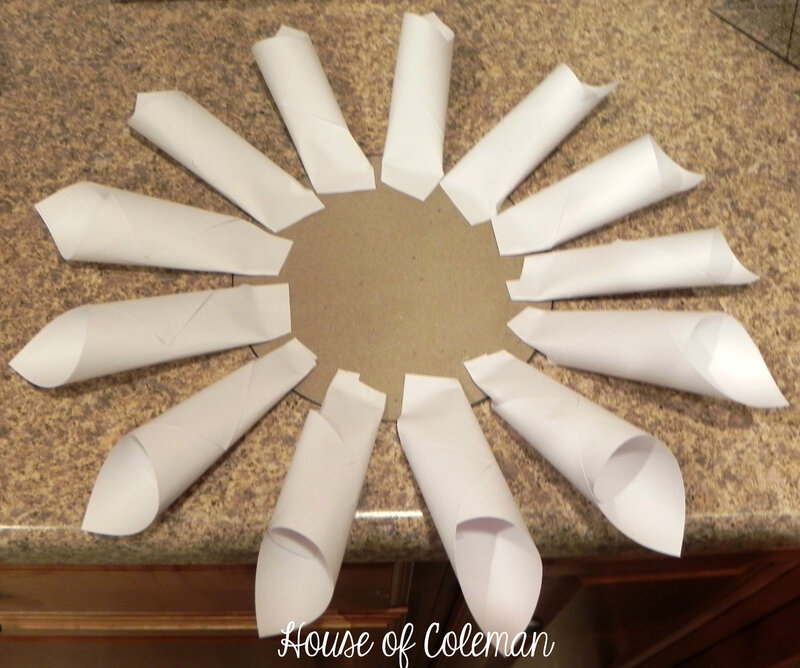 So I ended up with a bunch of 4 1/4 x 5 1/2 pieces to start rolling into my petals. 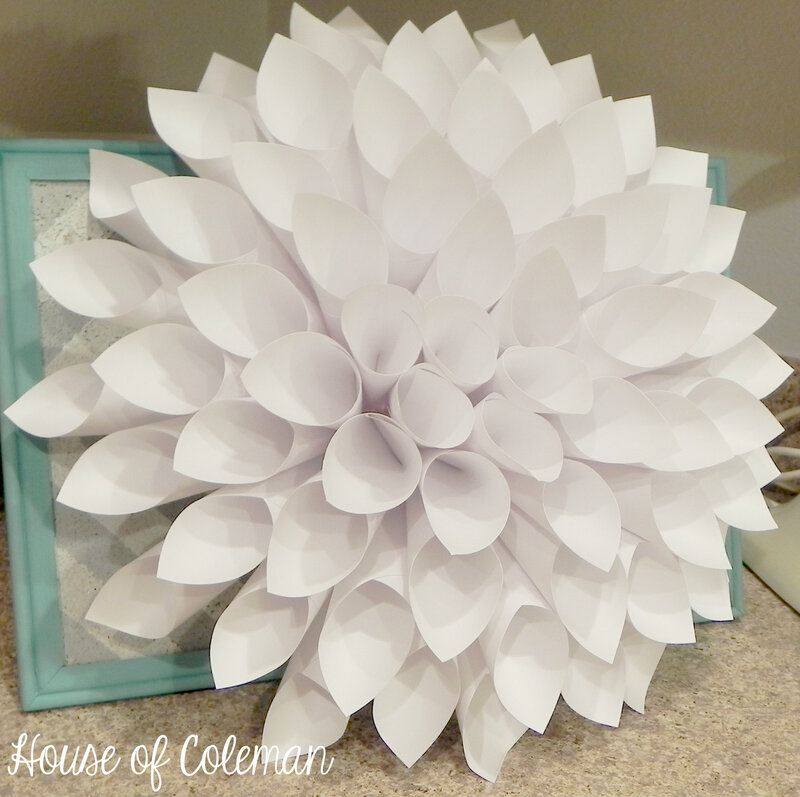 Rolling the cardstock into petals for me wasn’t the fun part, I tend to be on the perfectionist side and there is just no way to make sure every single one is rolled the exact same way drives me a bit bonkers! Anyway I finally figured out a method that worked for me and just went with it! 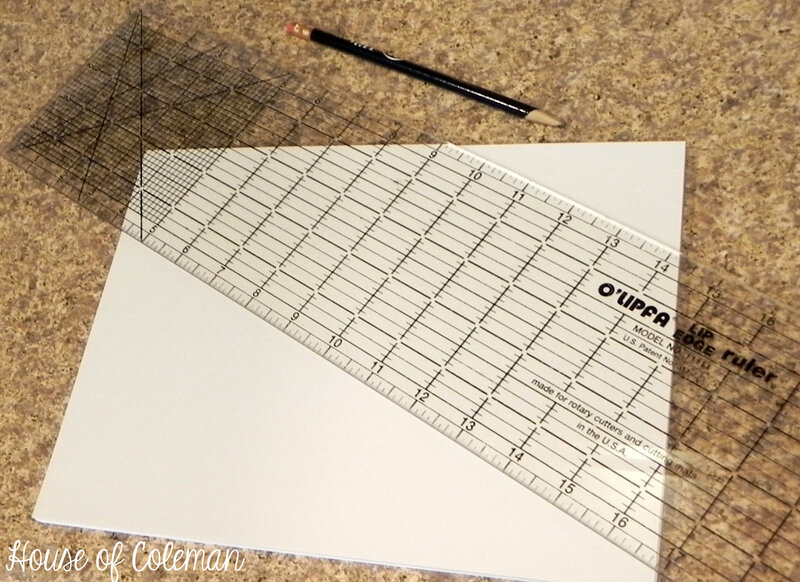 Then I layered my next petals in between the previous row to cover the open spots. I continued to layer the next row right in between the previous row. 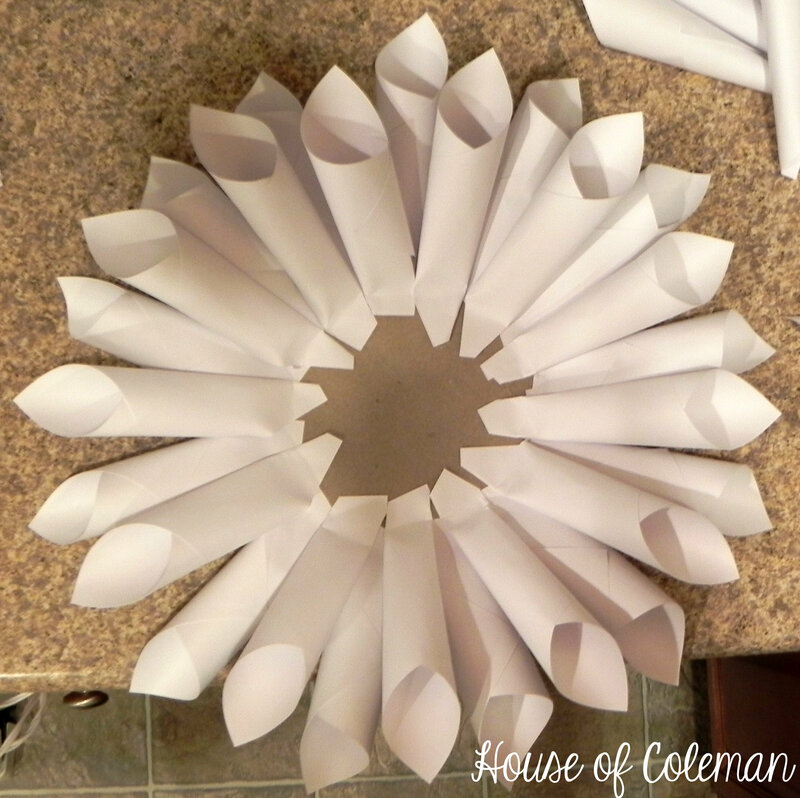 With each row I made sure that the inner row of petals was shorter than the previous one. I wanted my Dahlia to be very full. So I layered them in between the previous row and on the inner circle of the previous row. Making sure I filled every single space until I got to the center. This is where it got tricky for me. 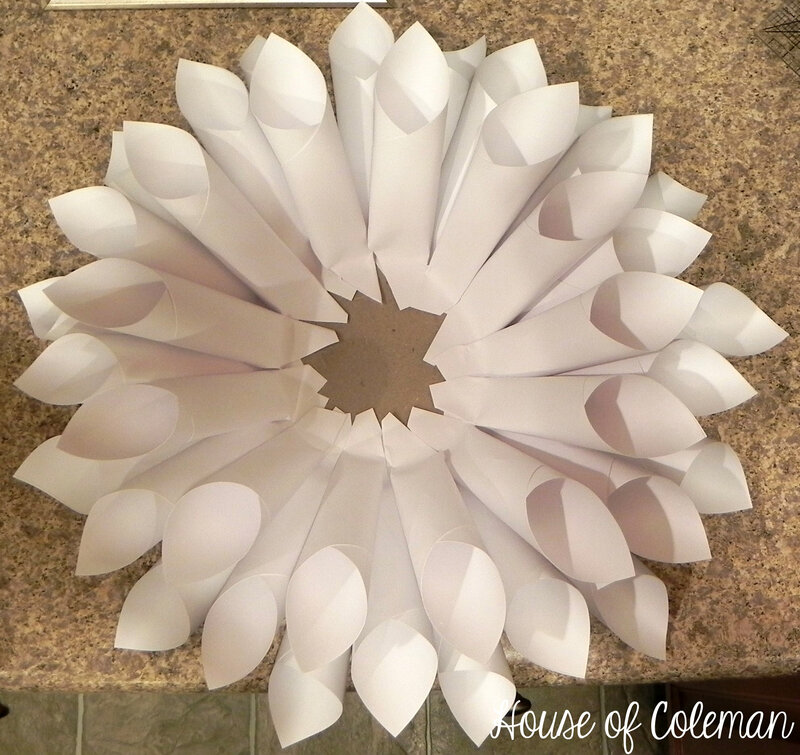 I decided that the best way to do the center of the flower was to cut 1 inch off the bottom of 3 petals and then fold the bottom a 1/2 inch. 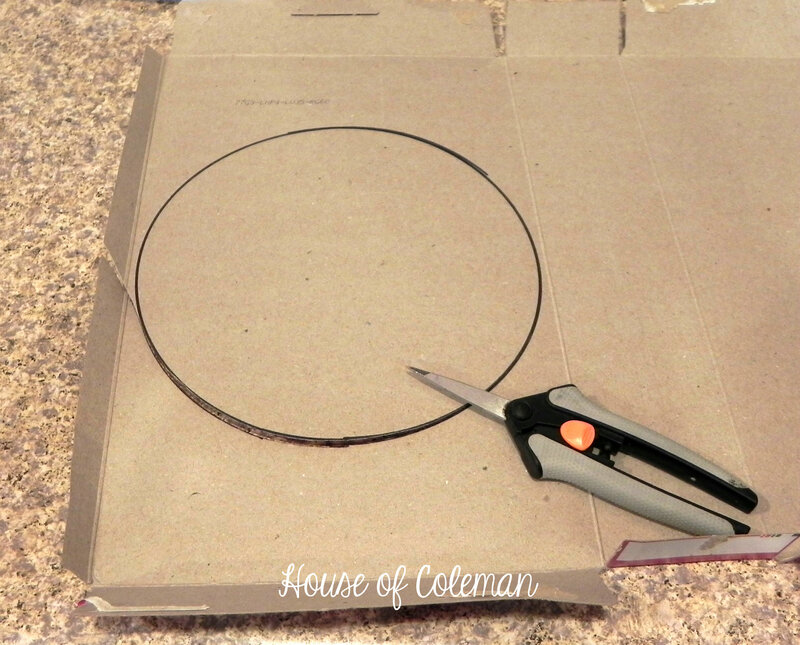 Once I did that I took each one and hot glued them to the center in the space that was left to fill. And there you have it! Your very full Dahlia!